Hi, I'm Susi, a writer at Design Shuffle, a community for interior designers, home decorators and other design professionals. I write about interior design, home decor, gardening and travel. My love of travel is why I'm so excited to write a guest post for The Design Boards. Does the idea of camping make you run for your Egyptian cotton sheets and down comforter? Well, glamping might be for you. 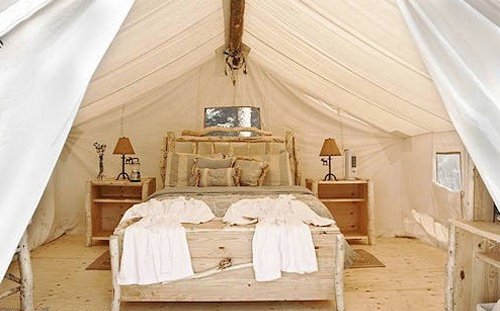 Glamping is a combination of glamour and camping with a heavy emphasis on glamour. 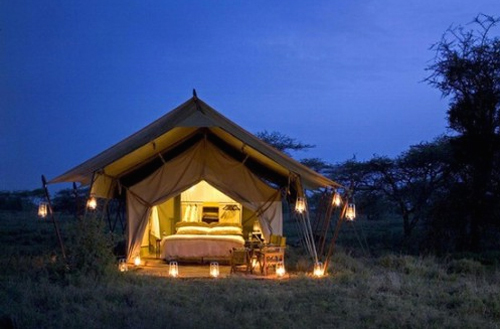 Think Out of Africa or expanding tents from Harry Potter. Intrigued? I am. I've never been glamping but these pictures make me want to explore this travel trend. Who knows, we might even discover some decorating ideas to use at home. Thanks Candice for letting me visit! This is the pic from The Design Boards Interior of the Week that inspired this post. What a cool tee pee room! The first time I heard the term glamping was in a NY Times article in 2008. This was the picture that accompanied the article. 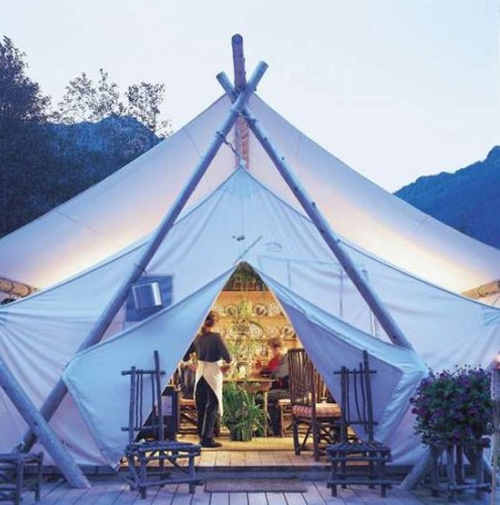 It's a guest tent at the Clayoquot Wilderness Resort on Vancouver Island. 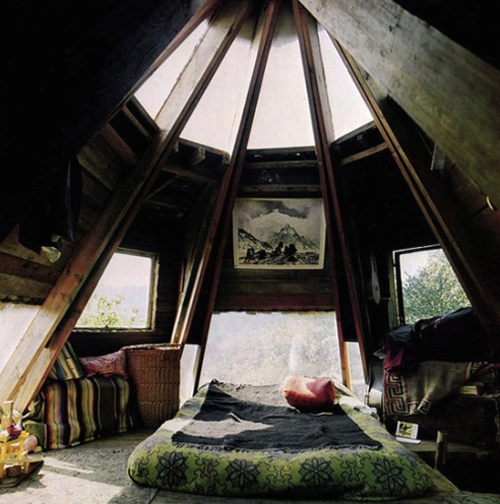 More than a tent, not quite a yurt, this outdoor bedroom beats a tent any day. Mosquito netting provides a barrier to bugs and roll down canvas shades provide protection from the elements. Perhaps two things you'd never expect when camping: a white aproned waiter and a wall full of china plates. 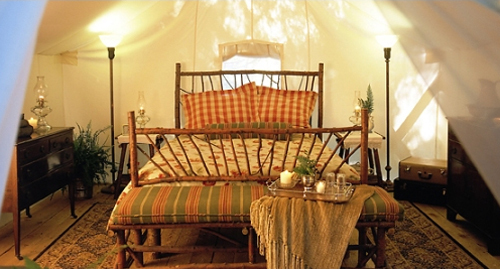 Love the design of this tent and the rustic Western accents. Makes me want to see it up close. There might be some amazing dining room design ideas waiting inside that tent. While the walls may be canvas, this tent has wood floors and all the furnishings of a proper bedroom, including lighting. Located in Ontario's Boreal Forest. A glamorous tent even by glamping standards. 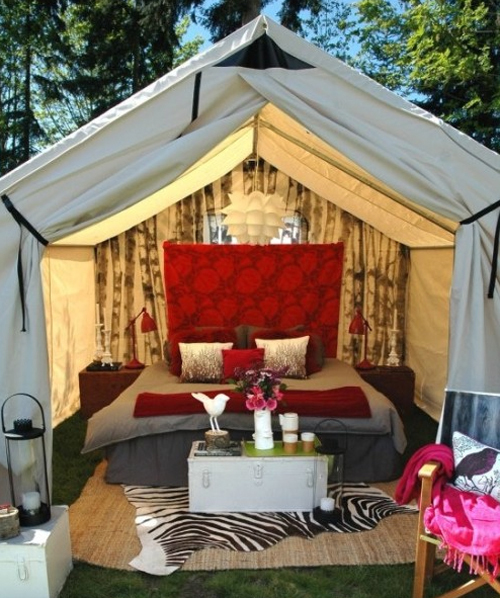 This tent was designed by Kelly Moore for Seattle Magazine. I want one for my backyard! 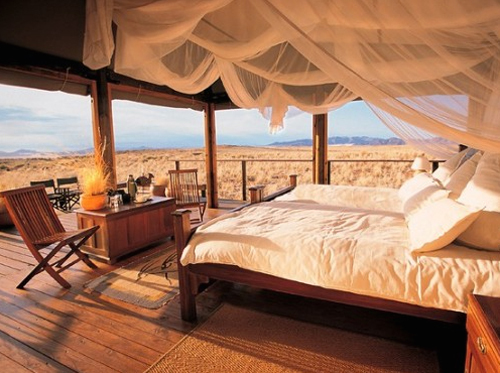 When I think of glamping, I think of the movie Out of Africa. This is a contemporary version in the Serengeti, sans Redford. 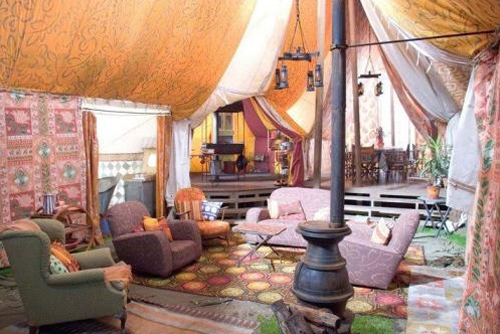 This boho-chic tent is from Harry Potter. Perfect for camping or scouting out ideas for living room designs. Love all the textiles, comfy chairs and a cozy wood stove. This content is provided by Design Shuffle, where you can find and share talented interior designs from New York interior designers, Los Angeles interior designers, and more, check out the latest at Design Shuffle.